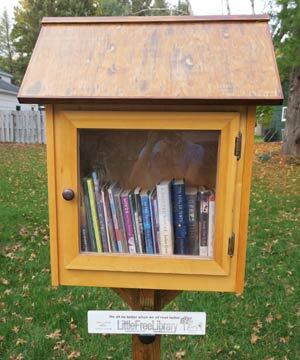 A Little Free Library is a “take a book, return a book” free book exchange, typically sponsored by an individual or family. 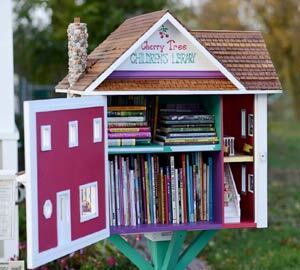 It is housed in a small structure on the owner’s lawn, near a road or sidewalk, where neighbors and visitors may take a book or leave books for others to read. Right now we have six in Pittsford. They’ve been welcomed by neighbors and visitors where they’ve appeared. We also have a Little Free Library shelf, sponsored by the Friends of the Pittsford Community Library, in the Library hallway. The Little Free Li­brary nonprofit organization supports the worldwide movement to promote literacy and the love of reading by building free book exchanges in local communities. If you are interested in setting up your own Little Free Library here in Pittsford, you don't need a special permit - just follow the guidelines below. 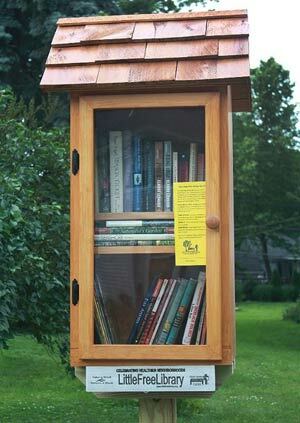 Information, tips, sample designs and locations for LFLs nearby and around the world can be found on the Little Free Libraries website: www.littlefreelibrary.org.